In a report published by Gartner – Predicts 2017: Cloud computing Enters Its Second Decade – it is stated that cloud technology is gradually becoming a driver for the next generation digital business. In the booming market of cloud service vendors, it is not easy to select the right QuickBooks cloud service provider. Here’s an eight-point checklist to make sure that you cover all the bases before reaching a decision. Security and location of data centers are as important as online security. Your business data is vital, so ensuring that it is stored in appropriate and secure data centers is important. However, data centers come in all shapes and sizes, from different places. 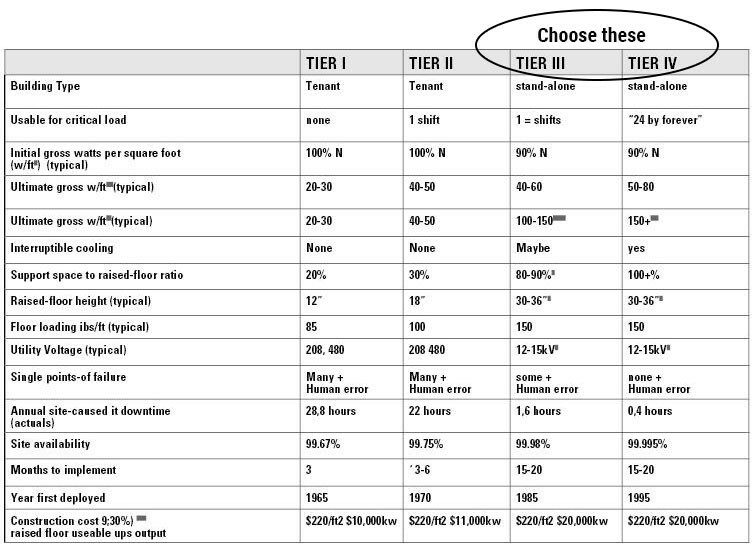 The table below shows some of the features available in each of the four tiers of data centers available. It is suggested not to go for QuickBooks cloud provider with less than three-tier data center. Performance of the server and dependability of operations are important factors in selecting the best QuickBooks cloud provider. You want to ensure that the provider can fulfil his promises. Consider how many virtual resources are required to accomplish your workload and check their prices. Some service providers promise the lowest price, but you might end up renting double the resources to build machines which can sustain your business. Many QuickBooks cloud providers offer free trial services. Take advantage of that. Server performance is the fuel that would propel your business forward. So, make sure that the server wouldn’t slow you down. The QuickBooks cloud provider should be able to host version of QuickBooks Desktop including QuickBooks Pro, Premier, Enterprise, and Accountant. As different users use different versions of QuickBooks, it is important for the cloud provider to be compatible to run all the features of all QuickBooks versions. When you are storing your crucial QuickBooks data in the cloud, security should be one of the most important concerns. Your QuickBooks cloud provider should have all the security measures in place. Look for firewalls, multi-factor user authentication, anti-virus and regular security audits. Check for encryption, both within the network and for information sent on the internet. Make sure that you access the levels of data and system security and security of governance processes. There should be comprehensive security guidelines and measures in place to control the access. Check out the physical security of cloud provider’s data servers: access records, CCTV, biometric access and round the clock manned security. Your cloud hosting provider should offer regular backup, thus making sure that your critical data is not lost due to natural calamity or system failure. The feature ensures that your data is recoverable from remote servers until the time of end checkpoint in the record. When your QuickBooks is on the cloud, a number of users should be able to access the file. This feature is particularly important when you have to take key business decisions in short time. Also, one user should be able to work on multiple files at the same time and from any location through an internet connection. While some providers publish their downtime information, but others cloud providers must provide all the information when asked. You cannot expect perfection: downtime is certain. All QuickBooks cloud providers experience downtime at some point. It is important how the service provider deals when such a situation occurs. Make sure that the reporting and monitoring tools are there which can integrate the overall management systems. In the process of selecting a QuickBooks cloud provider, firms should take time to investigate and verify the quality of service they have to offer before reaching a decision. Hey Renuka, thanks for sharing this informative post. According to me, SLA and cloud service agreement consideration comes among the first pointers in this checklist. Because ignorance at this level can cause a real problem to the firm! Business continuity and disaster recovery plans should also be on everyone’s checklist before considering to go for cloud services. Some providers have built-in plans while some opt to outsource their disaster management service. A complete and highly satisfiable checklist for shifting QuickBooks to cloud. This will make the migration smoother and error free.